Polished Brass Spiral Cabinet Knob - Large suitable for Kitchen door knobs and Cabinet door knobs. 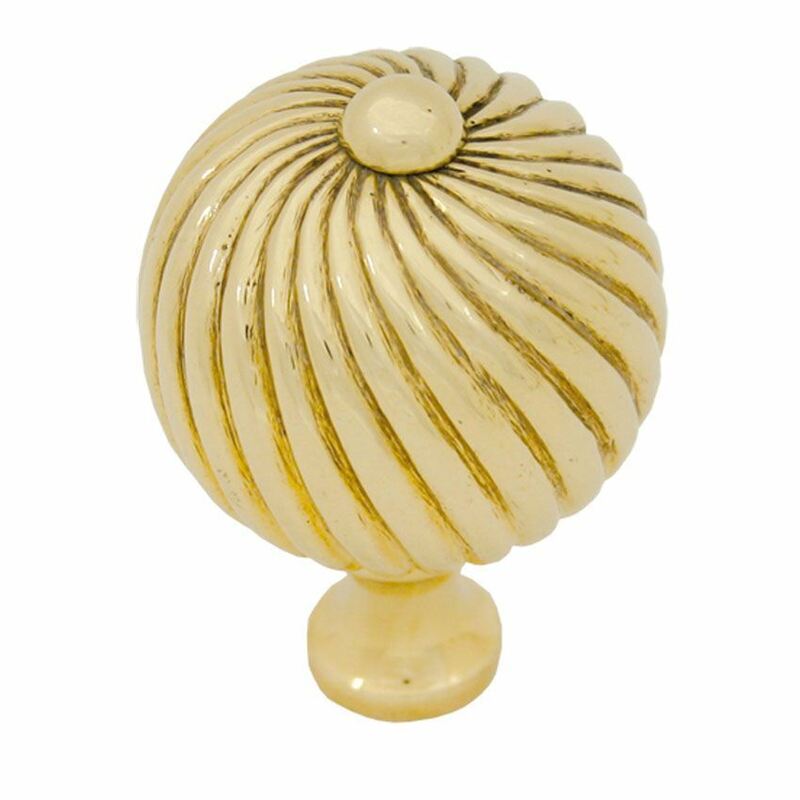 An un-lacquered, polished brass product manufactured to the highest possible standard. Sold in singles with M4 screw. 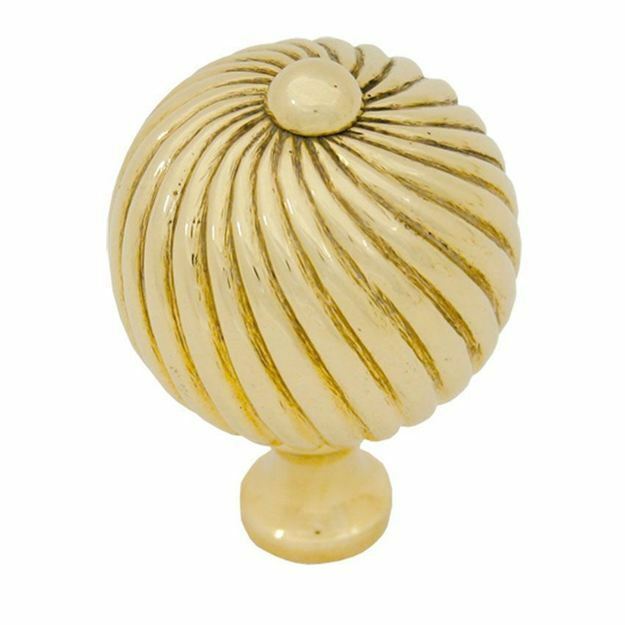 Regular polishing is required to maintain the original finish, however, an aging look can be achieved by leaving the product to oxidize over time. Ideal for use on cabinets and drawer fronts.